Join us on Wed 17 Oct 5pm. We’re delighted that UNISON are hosting (with reception) a new exhibition of 25 original cartoon works by From Pink to Prevention co-founder Diana Ward. 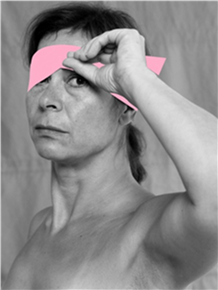 Diana’s art-work is a unique way into the subject of the politics of breast cancer and it reflects on the decades of scientific evidence linking environmental and occupational risk factors to breast cancer. This is the first exhibition of cartoon work (25 pieces) by Diana Ward and is organised by the From Pink to Prevention campaign. Di is a writer, artist and activist who has had cancer patient experiences in the UK and Australia from the early 90s in tandem with more than 30 years experience of campaigning for change on a wide range of social and political issues e.g. education, environment, human rights. Her main interest since 1993 has been the politics and prevention of breast cancer. Her cartoon drawings are an integral and unique public education component of the From Pink to Prevention campaign and are at the heart of our October 2018 work, which takes the title MAKE THE CONNECTION from Di’s cartoon of the same name. There will also be the opportunity on the night or afterward, to buy limited edition prints, all proceeds of which will go to FPTP campaign. Please RSVP to book a free place.